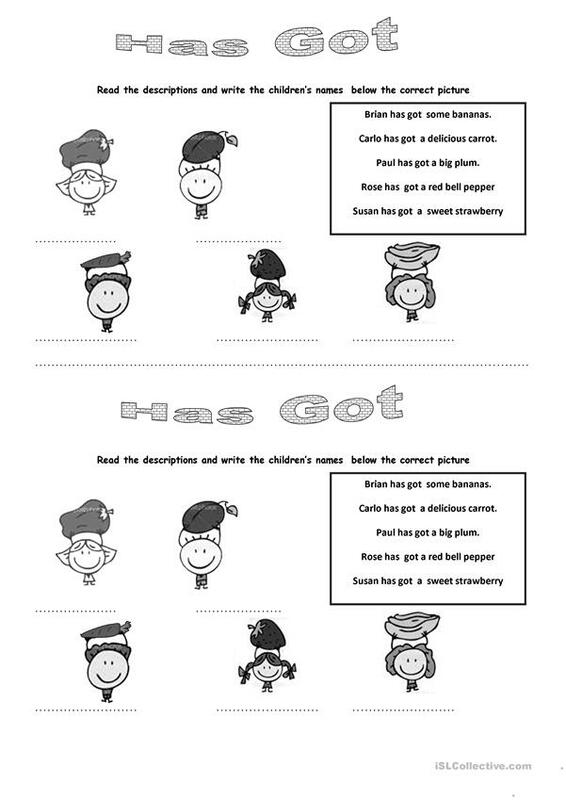 Colour and B&W worksheet. Grammar point: use of has got+ 3rd person singular.Beginner level this ws can be used as picture description too. The present downloadable printable is best suited for elementary school students, kindergartners and nursery school students and students with special educational needs, learning difficulties, e.g. dyslexia at Beginner (pre-A1) level. 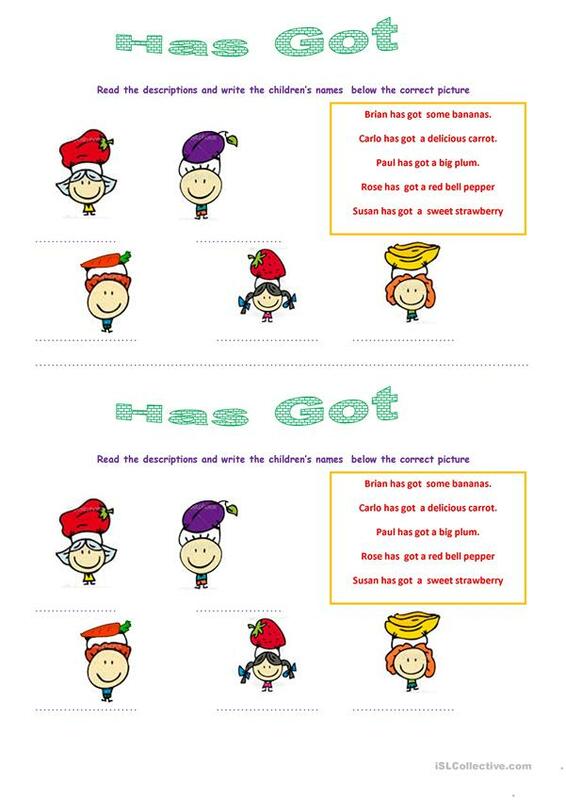 It is useful for enhancing your groups' Spelling, Speaking and Writing skills.